Our musical explorations in Europe led to a music album with Peter Natterer, a fine jazz saxophone player and musician who resides in Kottingbrunn, near Vienna, Austria. Peter and we had first met a few years ago when Austrian based pianist Marialena toured India with Hotel Palindrone, which Peter is part of. We connected instantly and this was followed by a concert tour of Vienna by our band MoonArra in 2016,a live album recording, mixed and mastered in Peter's Studio (all of us recording live and in single takes) of the 'Lily Walking' album in 2017 and a tour of India by Peter Natterer Quartet in 2018. Our collaboration is the result of our understanding and interest to use Indian classical and world influences and blend with the jazz idiom, to bring about a sound that we think is innovative in our compositions. 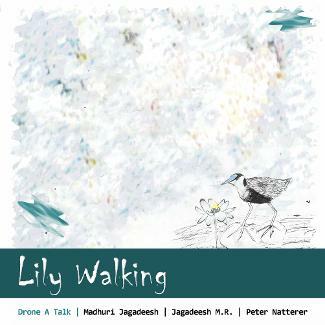 The album, Lily Walking is online now on itunes, spotify and other music sites. This is MoonArra - DroneATalk Project.